Who else feels like they're busy-busy, yet somehow still leave items on their bucket list every season? We always make a list of things we'd like to do as a family during the coming months and our fall bucket list is no exception. Like many families, weekends are our best bet for family time and we're making an effort to use our weekends wisely to have lots of family fun without breaking the bank! I'm teaming up with Here Today Stores to share how we made the most of a fun bonfire night without leaving the house and with little expense! My grandma always preached "presentation". Even if you're just having dinner as a family, presentation can elevate the table's atmosphere and completely lift the mood. I loved this little fall display I created out of the items we were using. Pretty and functional! The wooden slab was a total steal at Here Today and will come in so handy for future displays and centerpieces! It's also a cutting board so I can break it out on an average day, too! The s'mores were a big hit, of course, and we loved making different combinations and variations of the tried and true classic. Try a peanut butter cup instead of a milk chocolate bar or use a chocolate chip cookie in place of a graham cracker! Another exciting item we found at Here Today was this fun Tootsie Roll hot cocoa. Lucy was beside herself with glee putting it in our cart! It really tastes like the candy and made such a fun treat! We dressed it up with a little whipped cream, chocolate syrup, and vanilla cookie stirrers. 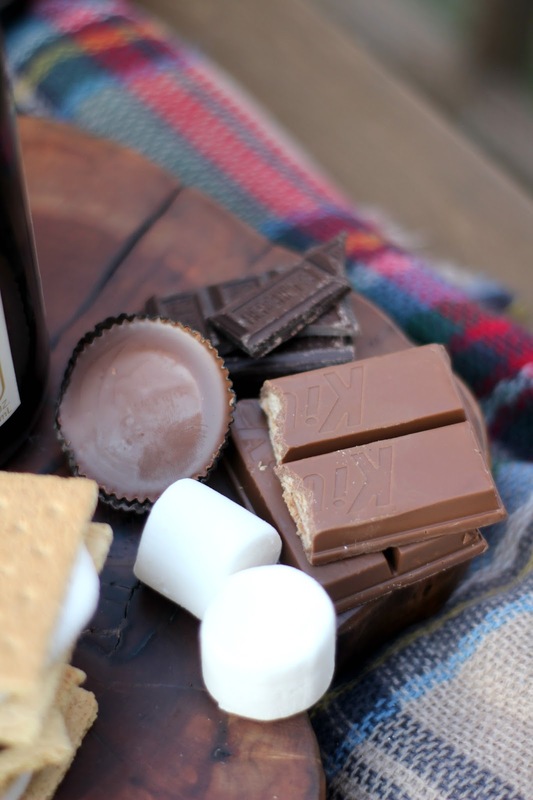 I love creating hot cocoa bars and finding new ways to add a twist to my favorite fall drink. The kids absolutely loved our family bonfire night, and because we shopped for all of our goodies at Here Today, we saved a ton of time and money which means we can afford to have even more family fun! 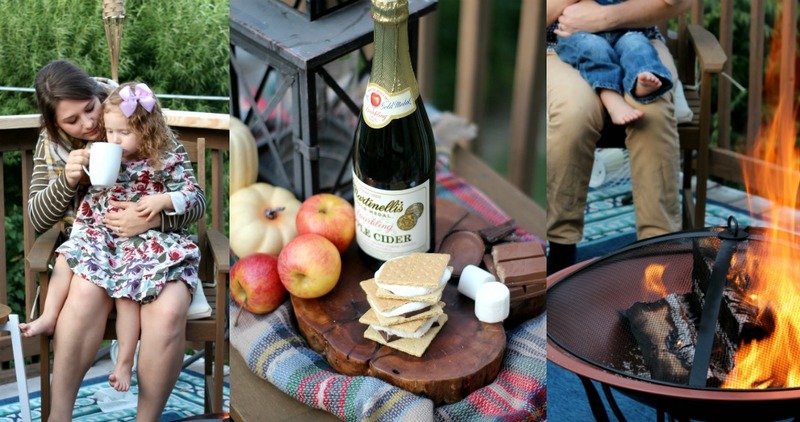 It doesn't have to cost a fortune to enjoy time together and getting the kids involved in browsing for new and interesting items in the store added even more to our family bonfire experience. This night was a total blast and I loved cuddling up with my cuties by the fire. We talked to Lucy about her day and giggled and played with her and Parker. It's little moments like these that make the most lasting impressions and I hope that even though our budget may be small and time may be hard to find, our kids enjoy and remember these family moments. Click HERE to find a Here Today store near you! 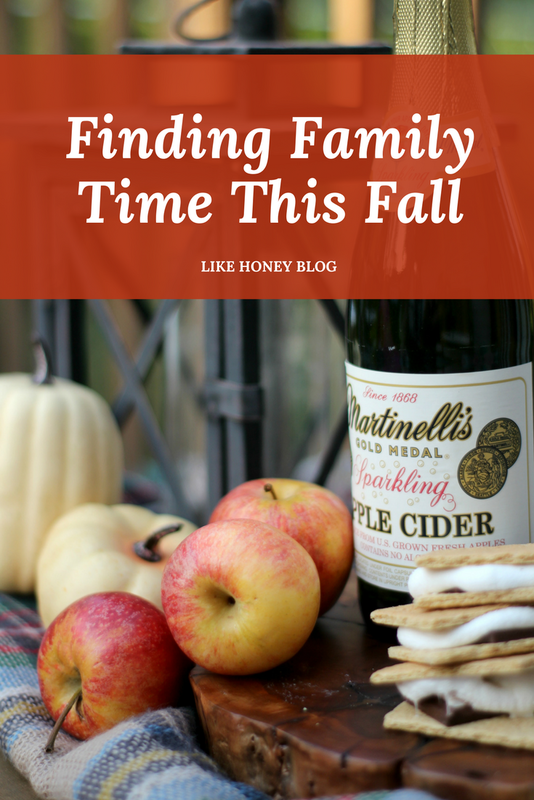 Do you have any fall family traditions? How do you create special family time at home? I love this!! Spending quality time as a family is so important and changing things up a little is always fun. My family loves s'mores and I never thought to switch up the candy used. tootsie roll hot chocolate - interesting!!!! Ive been sick but I hope to get better soon so we can go apple picking! Honestly here, we love apples here more than hot chocolate! Ahhh you made me so excited for fall!! I LOVE s'mores, fire pits and flannel. :D Can't wait for the weather to start cooling down here in Texas.